ExLab EU research applications, 2010-2017. Objective ICT-2011.8.2 (a) “Technologies for creating personalised and engaging digital cultural experiences”. Danish Strategic Research Council, 2011. 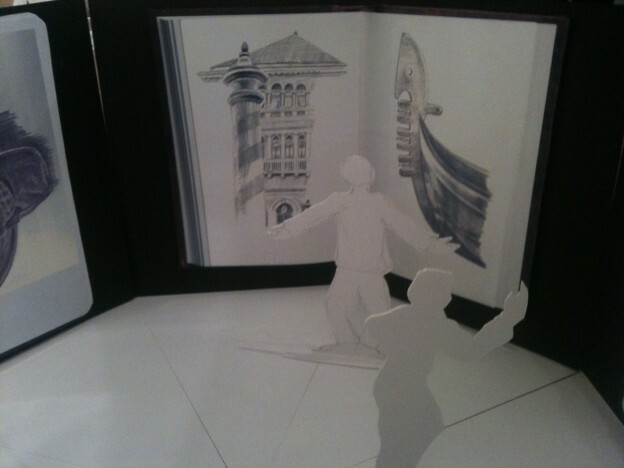 Proposal title: PERSONACH, 2010, The Personalized Virtual Guide. 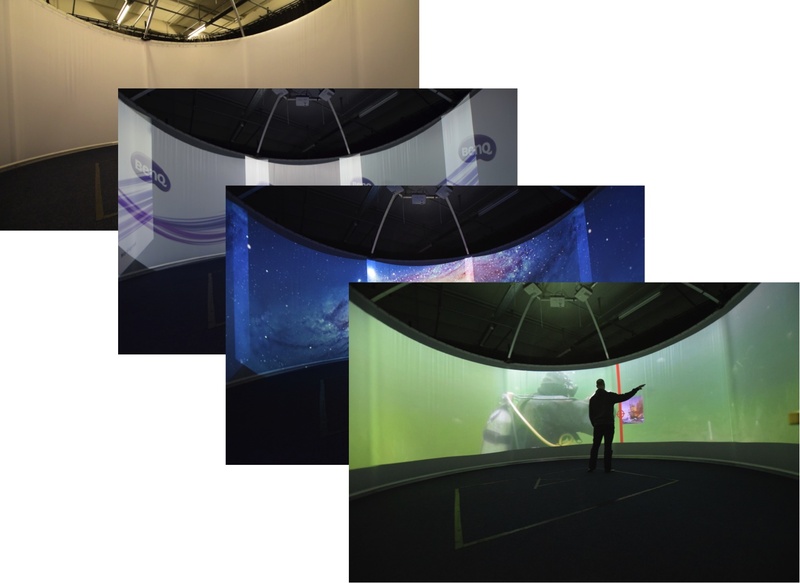 This entry was posted in Blog, Projects and tagged EU applications, ExCyl, OntoScope, Personach, R-Spaces, RISES, SpaceCraft on 2017-11-28 by sisse. 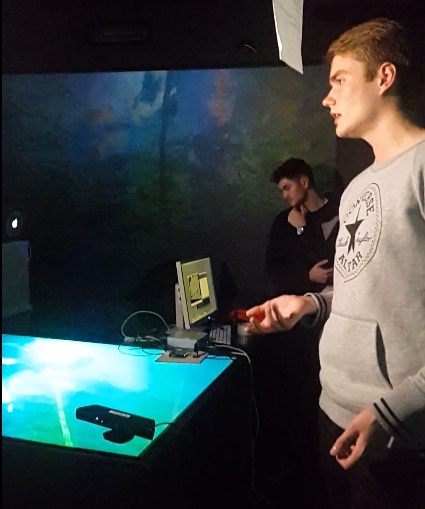 So many funny and inspiring ideas were shown when students from Roskilde University (RUC) presented their ideas and prototypes about interaction with installations to communicate knowledge and experience about maritime archeology and the viking age. It all took place in the Viking Ship Museum maritime archeology experimentarium in close collaboration with Troels Andresen, computer scientist and active member of Experience Lab RUC, and Mads Rosendahl, also computer scientist from the People and Technology department at the university. A group of students highlighted a silhouette of a war ship on the ceiling of the Maritime Archeology Exhibition. 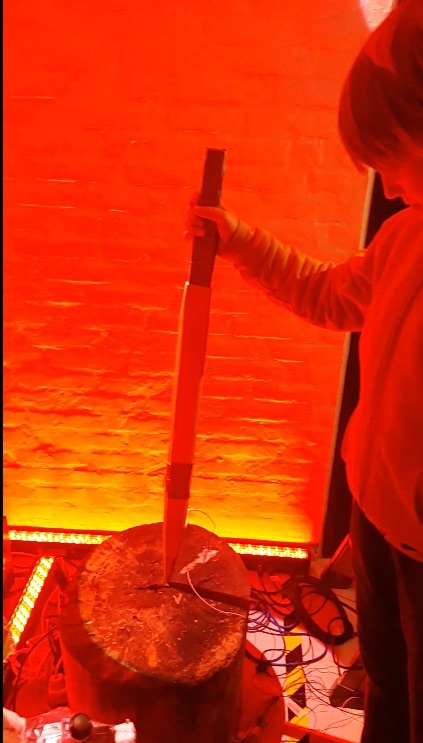 A very dramatic installation was created by a group of students who used many different senses to communicate a sense of the viking age, for instance, sound, light, music, artefacts. Below: the magic sword. 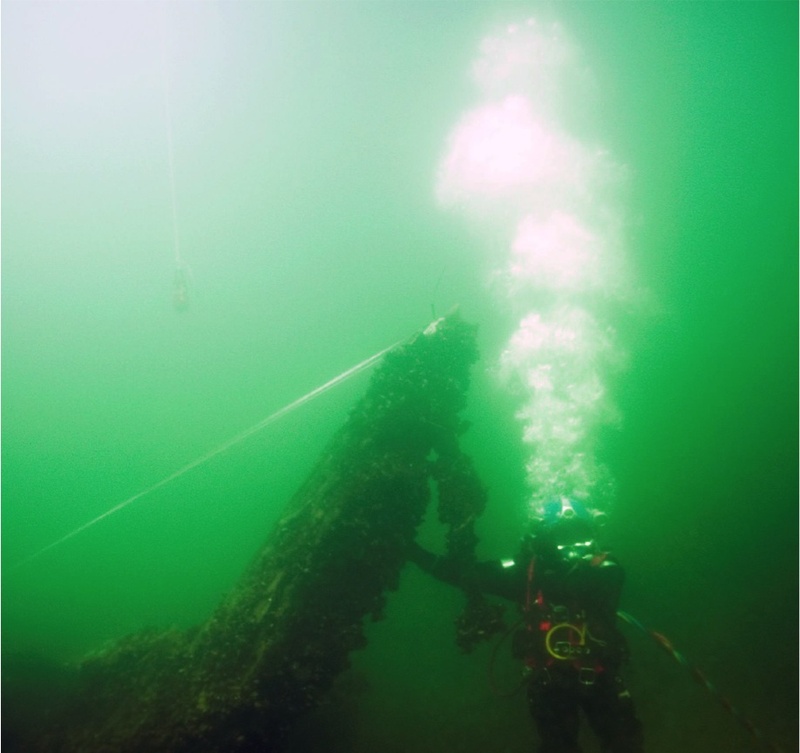 The water has risen steadily since the Stone Ages; much archeological evidence of the Stone Ages is therefore “hidden” below sea level. 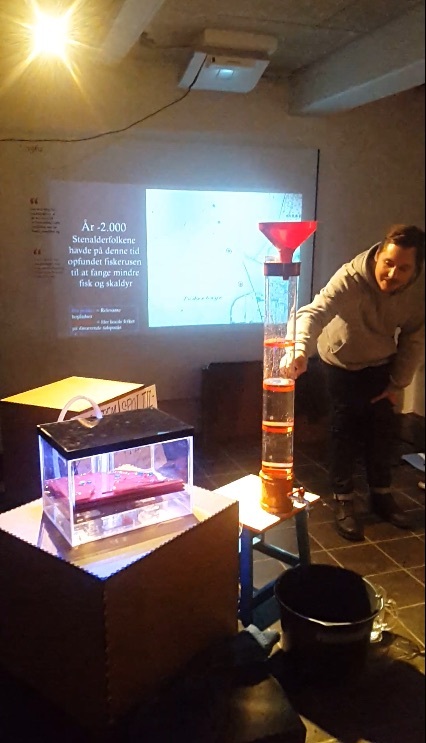 To gain knowledge about sunken villages the students created a prototype of an installation to show how sea level and topology have changed over the past 20.000 years. 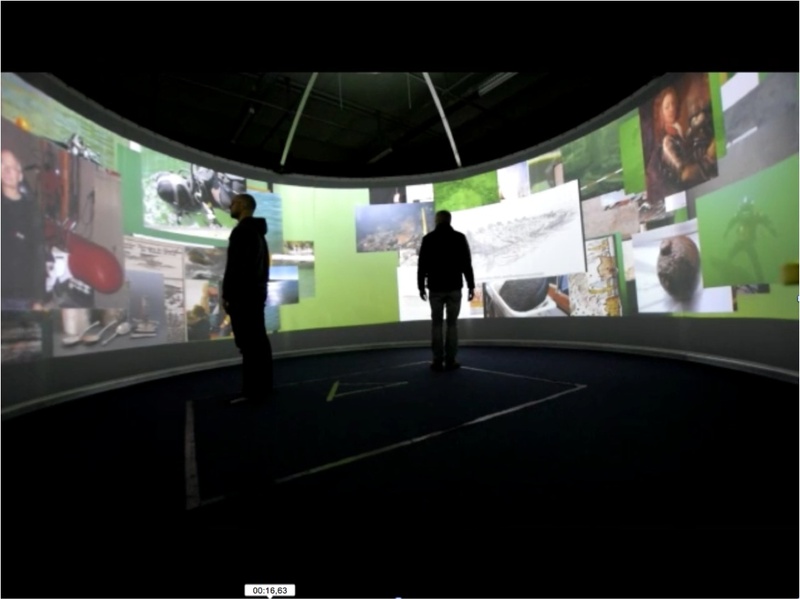 This entry was posted in Blog, Education, Events and tagged computer science, HUMTEK, interaction design, students, Viking ship museum on 2017-11-13 by sisse. This entry was posted in Blog and tagged instagram, Manovich, visualization on 2017-10-25 by sisse.